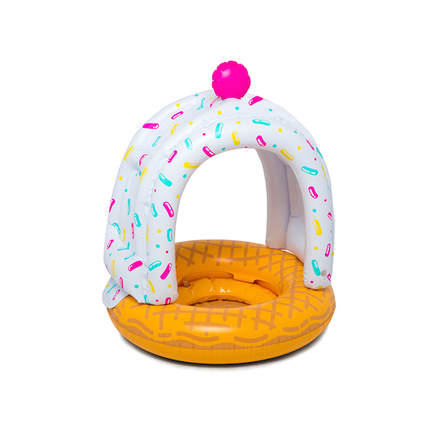 Ice cream in the pool? That’s putting the cherry on top of a perfect summer day. Our new Lil’ Float lineup lets you pass down the BigMouth summer tradition to a new generation. Until now, inflatables for your mini-me have been dull, boring, and well kinda ugly. We assume your little one follows in your footsteps—big personality with an appetite for laughs. 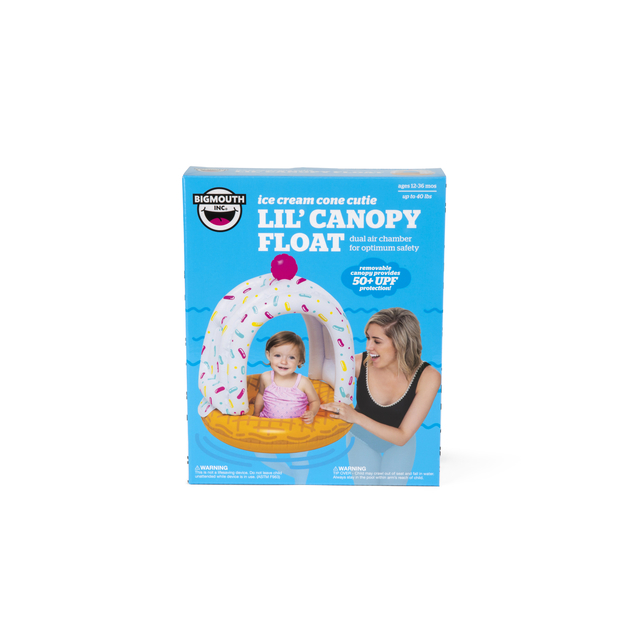 So we started a new pool float line based around our safest design and let our imaginations finish the job.The Ice Cream Canopy Lil’ Float is dual-chambered for stability, featuring a secure & comfy seat with openings for your little one’s legs. They’ll appreciate the comfort and freedom to kick their legs with excitement as you cool off in the pool together. The thick and durable vinyl is ready for daily use when the temperatures soar—not just one time. 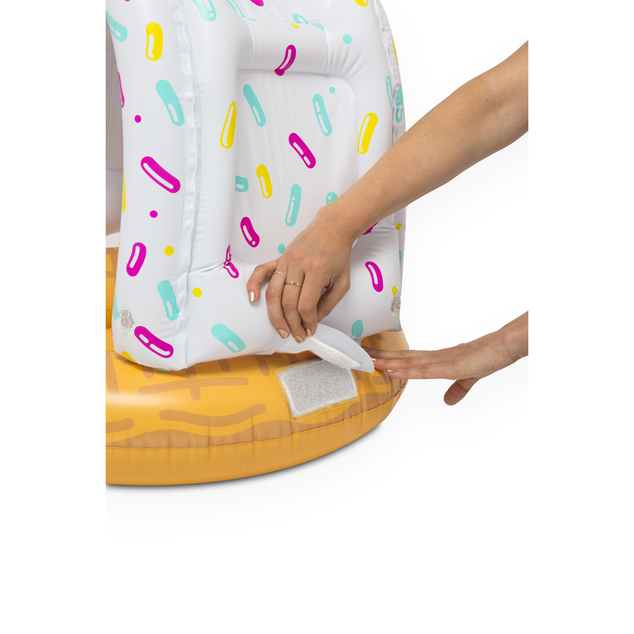 When the sun starts making your mini-me feel like they’re melting, use the removable canopy to keep them in the shade without having to take away their pool time. The canopy provides 50+ UPD protection and is easy to secure with velcro flaps. 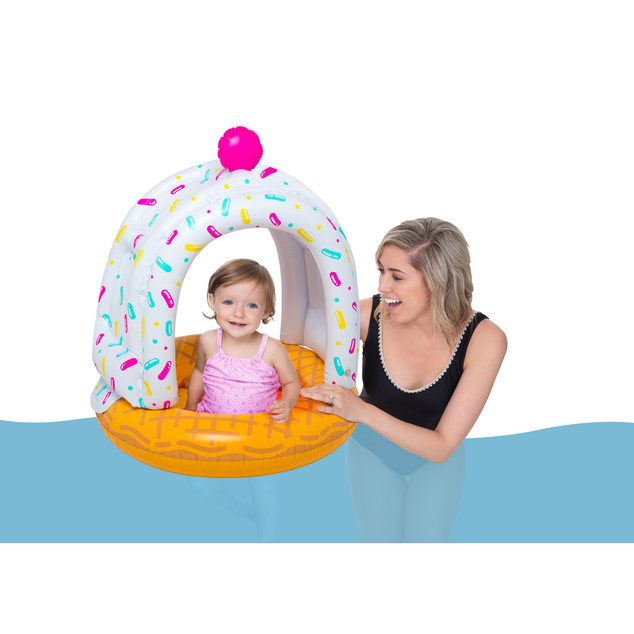 And if you’re tired of building toys with a gazillion pieces, this float will be a breath of fresh air—it inflates quickly and has no mechanical or moving parts. This means no special tools or batteries are required to get their imagination going when the temptation to spend all day in the A/C creeps in.